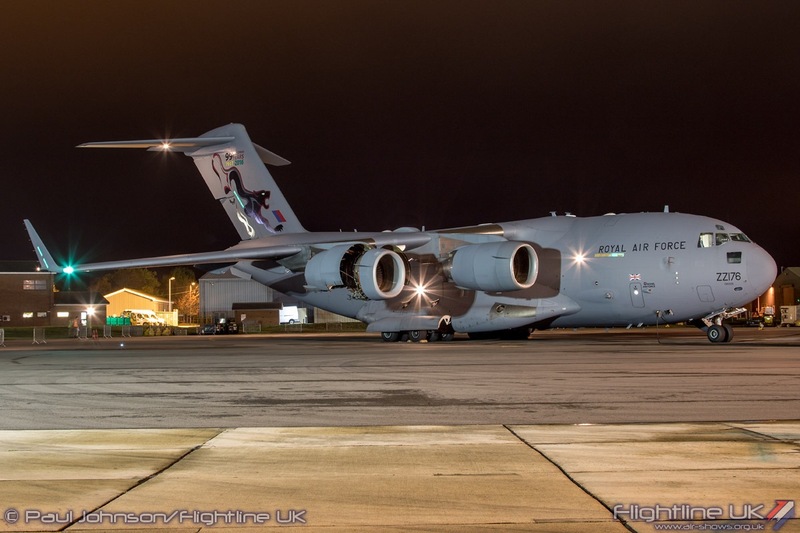 Organised by LXX (70) Squadron, RAF Brize Norton held its first ‘Nightshoot’ at the end of October. 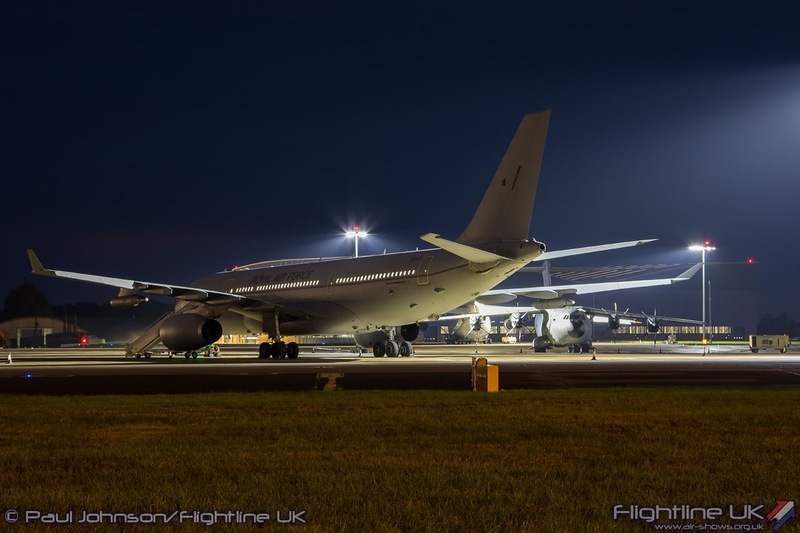 The event raised money for the Jon Egging Trust (JET) and saw an example of each type the Royal Air Force operates from the Oxfordshire base on display for around 200 photographers. 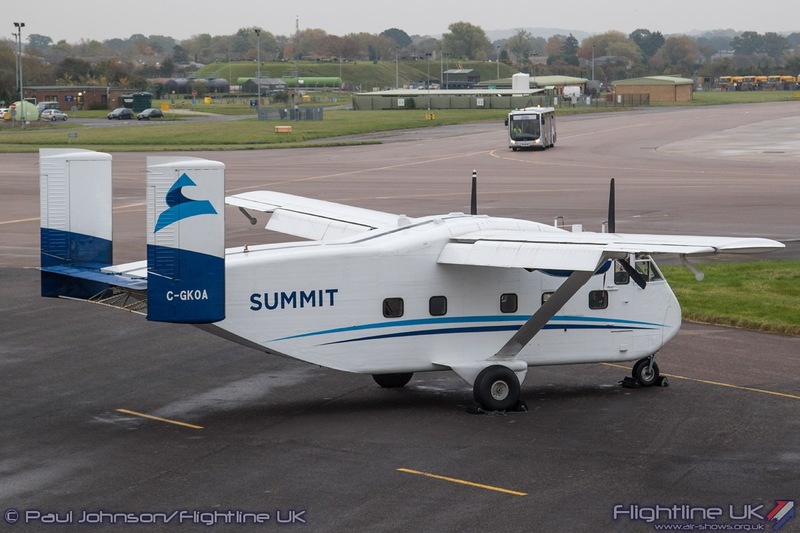 There were also guest appearances by Chipmunk T10 WP903 and a Summit Aviation Skyvan. 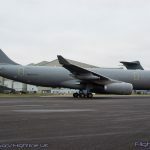 RAF Brize Norton is the Royal Air Force’s Air Mobility Hub and the main international gateway for the UK armed forces. 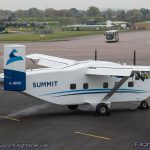 If personnel or freight needs to be taken by air to operations anywhere in the world, there’s a very good chance they will pass through the Oxfordshire base. 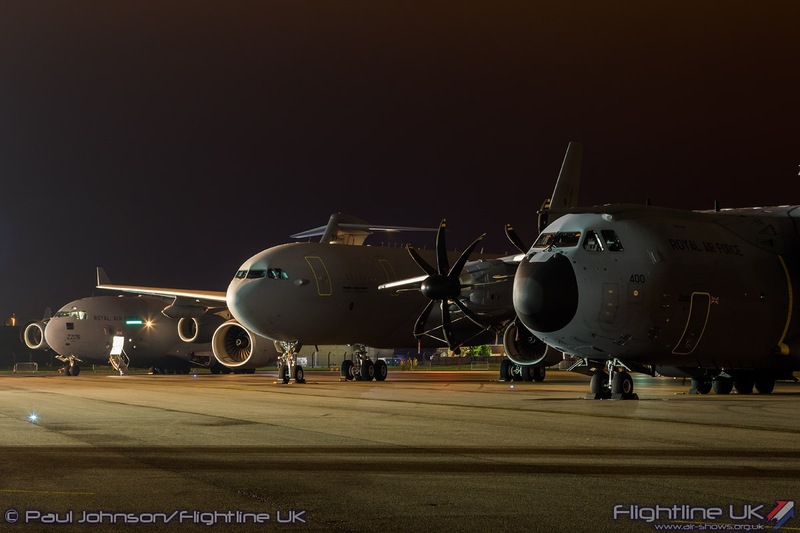 As well as moving freight and personnel Brize is also home to the RAF’s aerial refuelling capability vital to home defence as well as global operations. 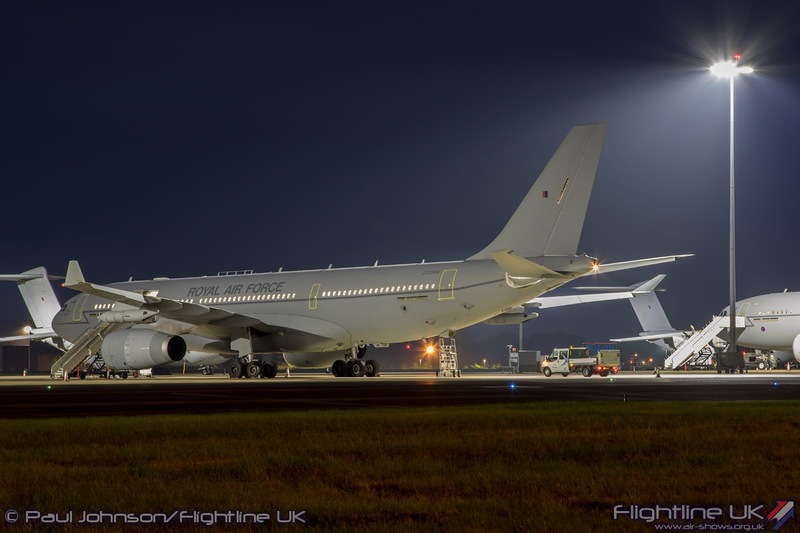 Alongside the various squadrons are various engineering and support wings plus No. 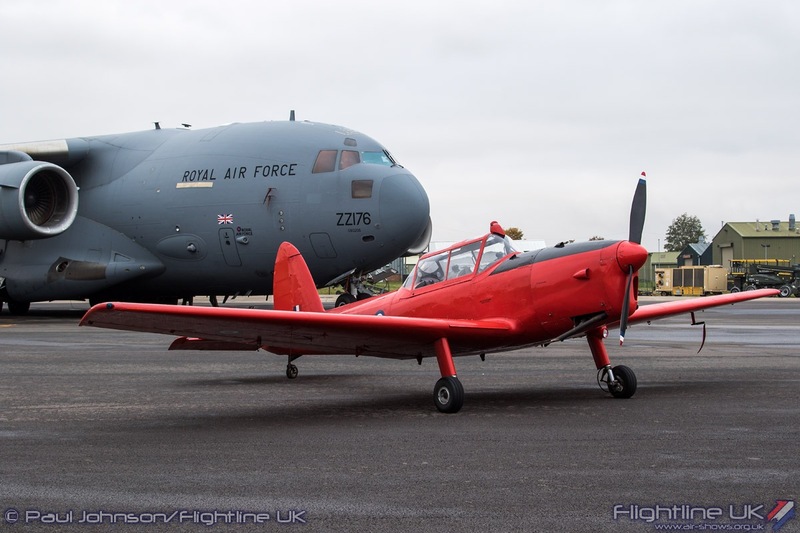 1 Parachute Training School and the RAF Falcons Parachute Display Team. 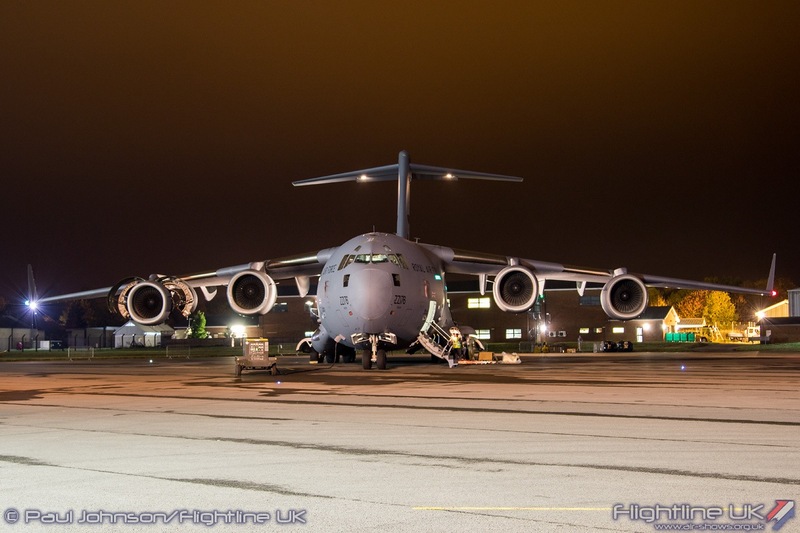 Supporting the UK’s interests overseas is a constant operation and Brize is operational around the clock all year. 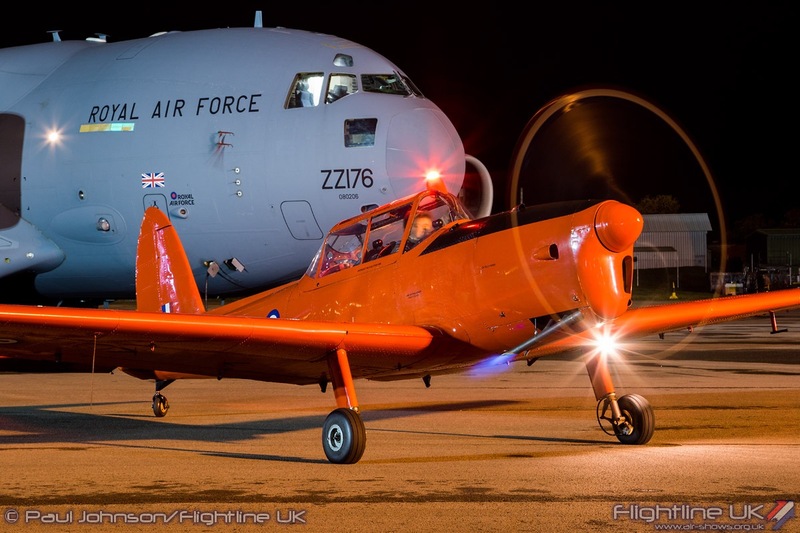 As such, the RAF aircraft based are not often seen at public events such are the demands placed on the operating squadrons. 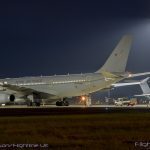 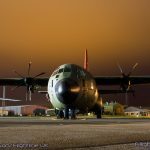 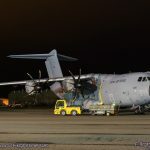 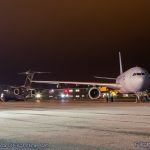 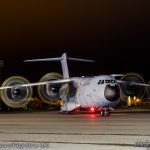 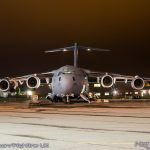 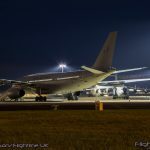 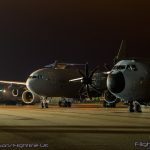 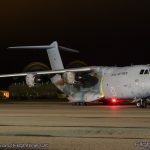 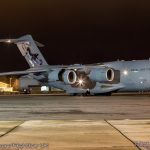 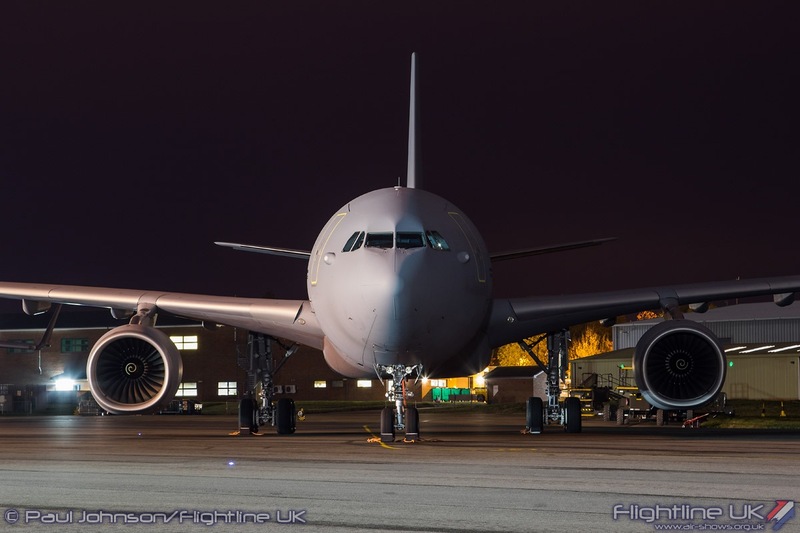 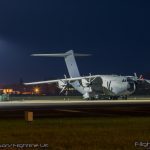 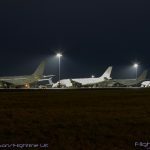 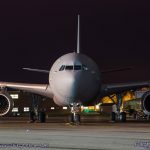 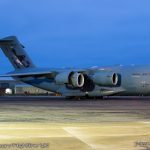 The ‘Nightshoot’ therefore offered a rare oppotunity to get behind the wire at Brize Norton and photograph the RAF’s air mobility assets after dark. 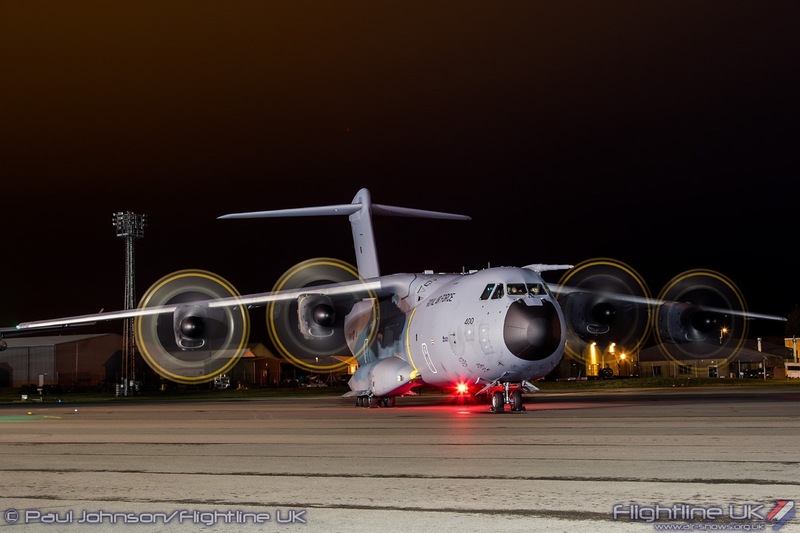 The event was organised by members of LXX (70) Squadron, but was supported by many others from around the base. 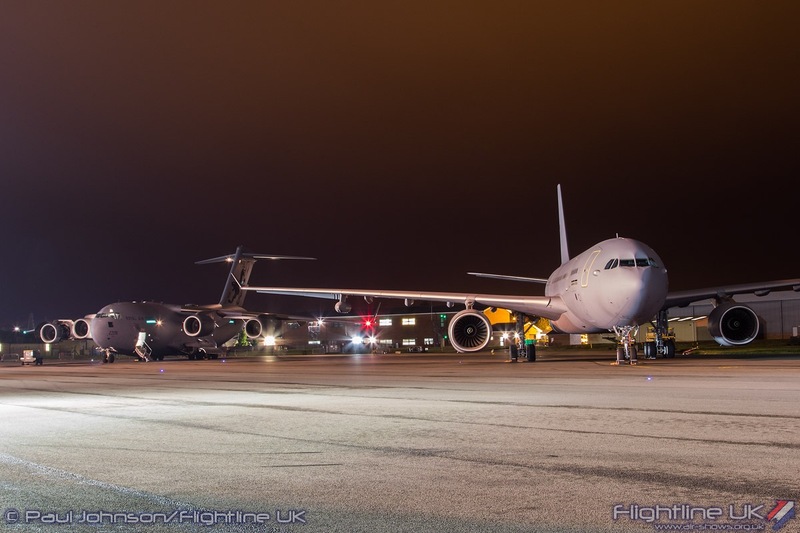 The aim of the event was to raise funds for the Jon Egging Trust (JET). 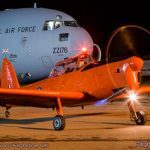 JET was set up by the friends and family of Red Arrows pilot Flt Lt Jon Egging who lost his life in an accident at Bournemouth Airport following a display at the Bournemouth Air Festival. 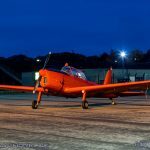 Jon was passionate about inspiring the next generation and the trust continues his passion by supporting young people who find themselves in difficulty. 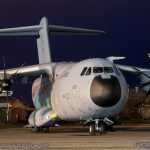 The Trust helps young people overcome adversity and provides life and career skills training linked to aerospace, engineering and science. 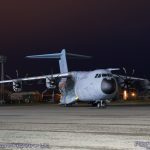 Though organised by LXX Squadron, the event was based around 99 Squadron’s area of Brize Norton adjacent to the main base hangar. 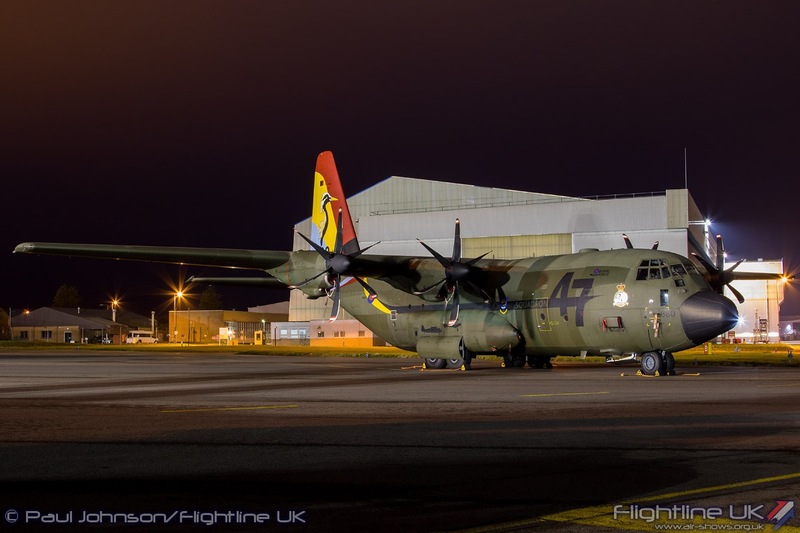 Once parked up and transported on to the base via coach, the evening started with short welcome and brief in the 99 squadron crew room. 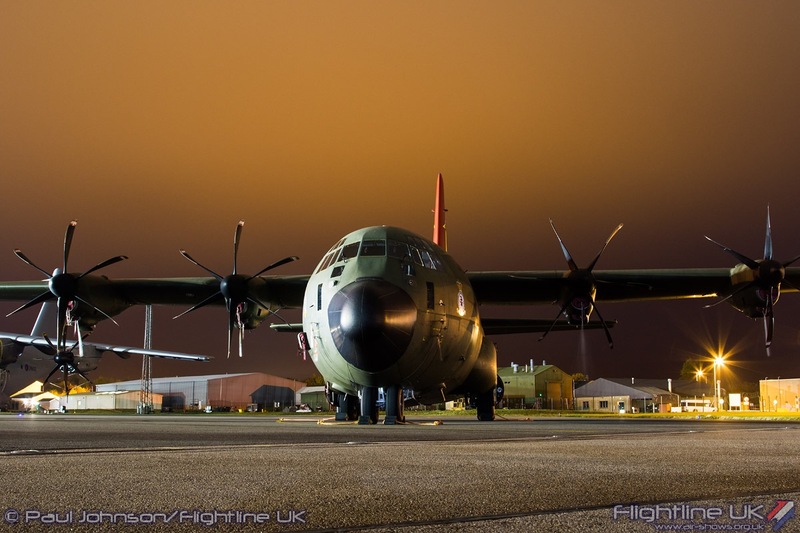 Once over it was out on 99 Squadron’s dispersal. 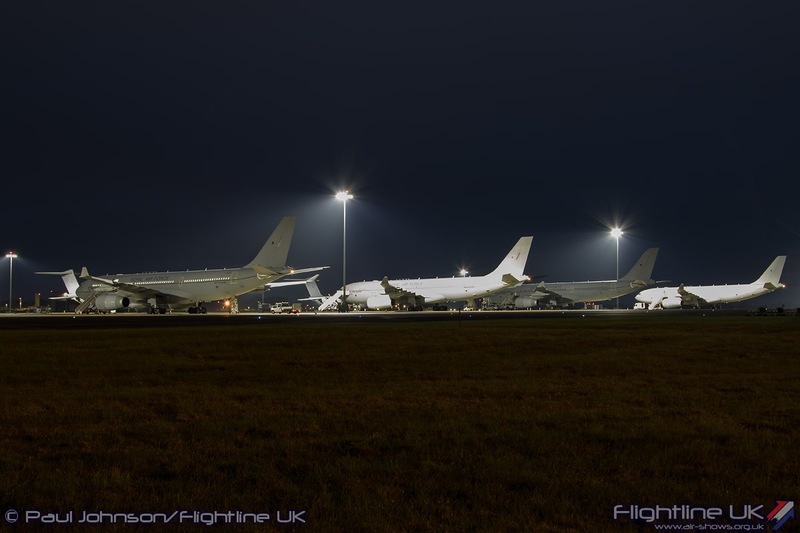 Not only were the aircraft specifically parked for the event on view, but there was a good view over the new vast apron that was built as part of the “Future Brize” project. 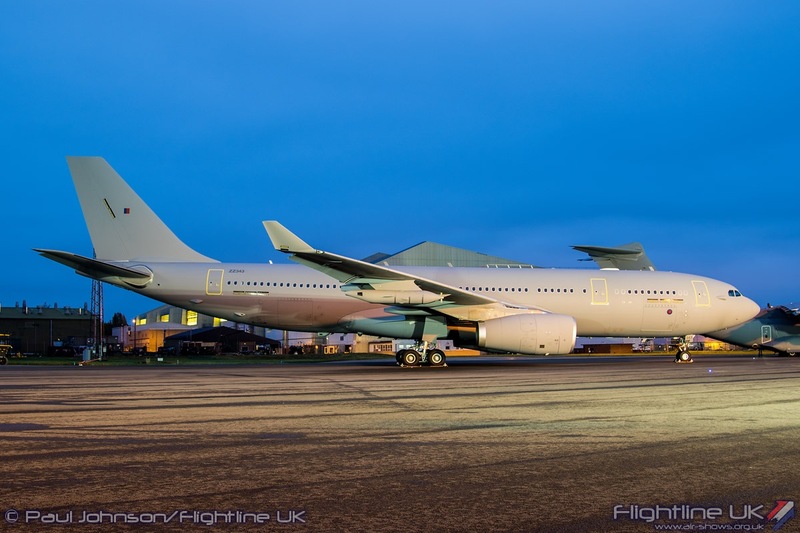 At the centre of the flight were some air stairs which provided some very nice elevated angles on their aircraft. 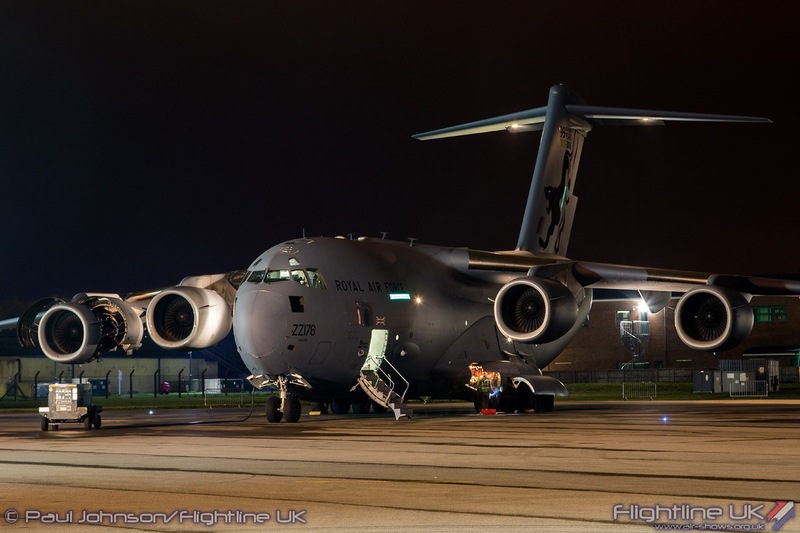 Heading the line-up on the dispersal was a 99 Squadron Boeing C-17A Globemaster III. 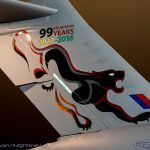 2016 marks 99’s 99th Anniversary and the aircraft on show, ZZ176, has some impressive tailart featuring the Squadron’s “Black Panther’ motif. 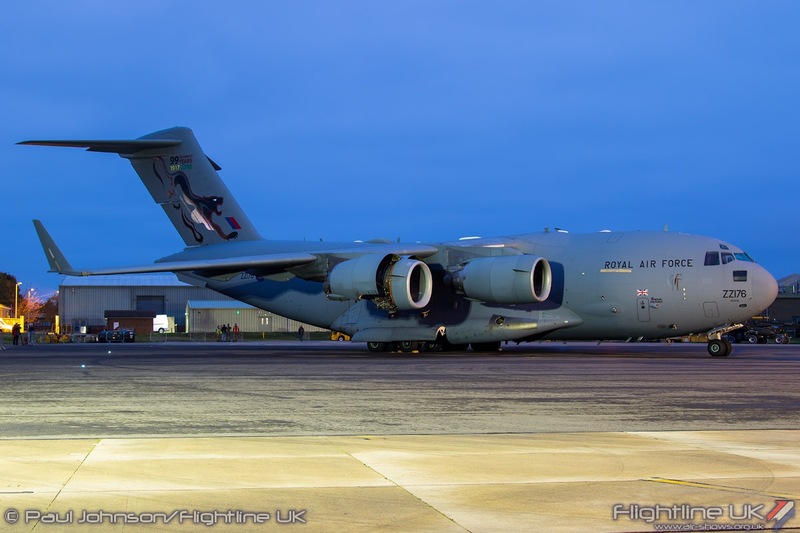 For much of the night, the C-17A had its own lights on including the day-glo green formation lights. 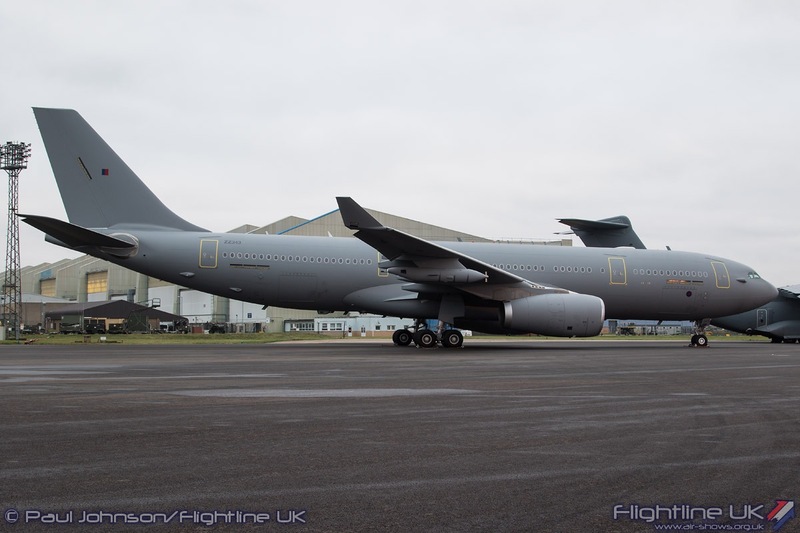 Alongside the C-17 was the Airbus DS A330MRTT Voyager KC3 from Nos 10 and 101 Squadrons. 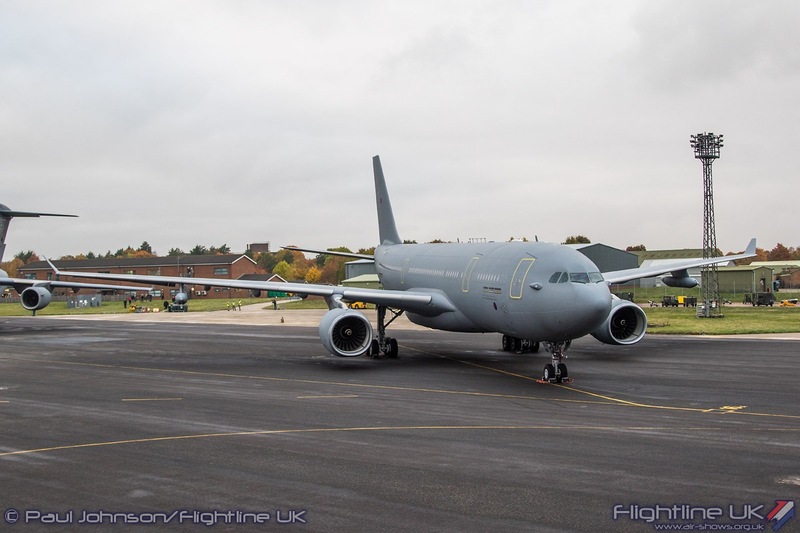 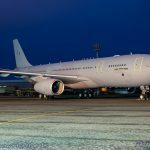 14 Voyagers were ordered by AirTanker with a core fleet of 9 aircraft supporting RAF operations. 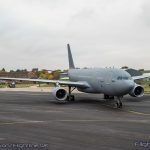 The aircraft on show was ZZ343, a KC3 variant that can deploy three refuelling hoses from the wings and a centre station under the after fuselage. 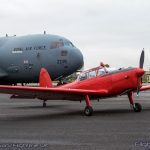 In front of the C-17 and Voyager was de Havilland Chipmunk T10 WP903. 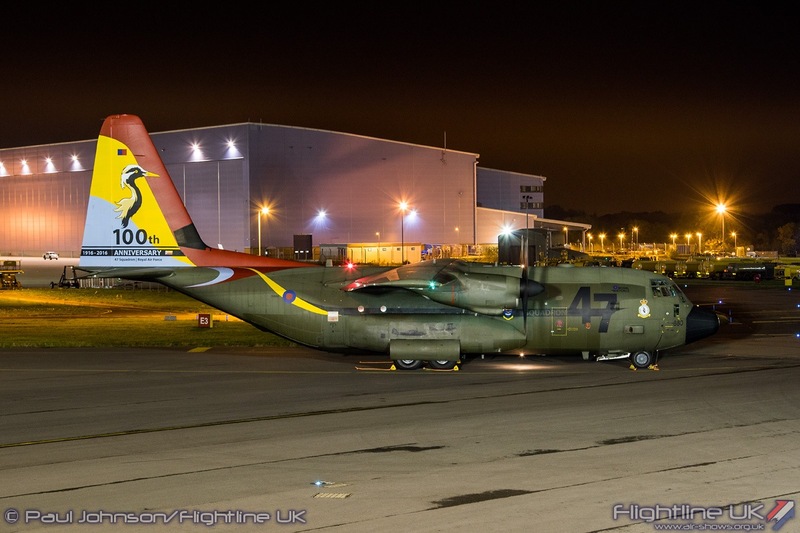 This was the only visiting aircraft in the Nightshoot and is usually based at RAF Henlow in Buckinghamshire. 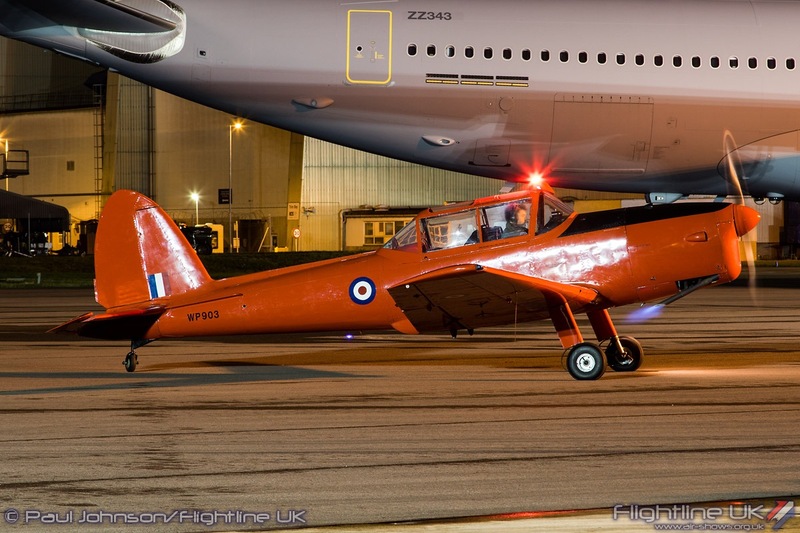 WP903 is unique as it was used to train members of the Royal Family to fly including most notably, HRH Prince Charles. 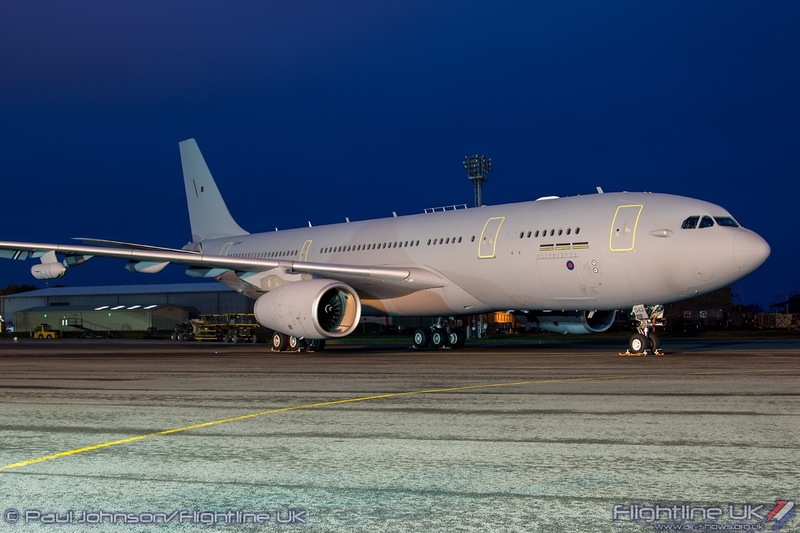 It was assigned to the Royal Flight for training duties and fitted with the ‘Parrot’, an oversized anti-collision beacon over the aircraft’s canopy. 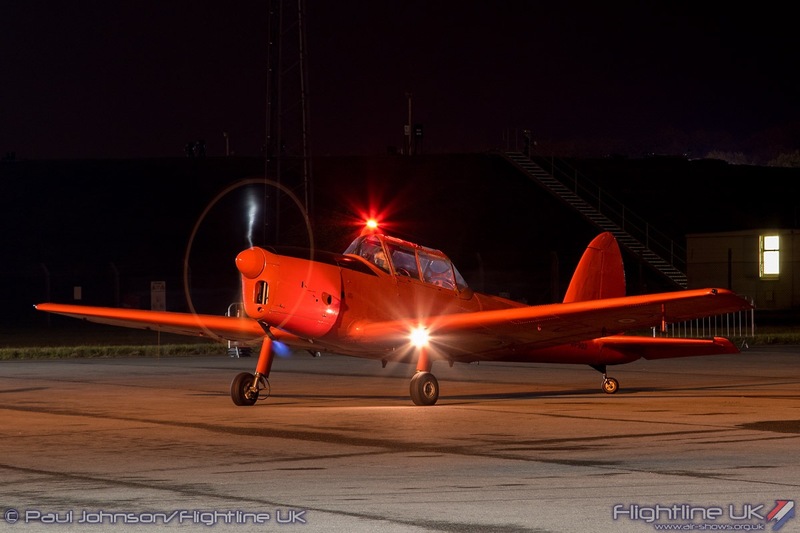 The Chipmunk was the first of the aircraft to run-up its engines under the lights with blue flames spouting from the aircraft exhausts. 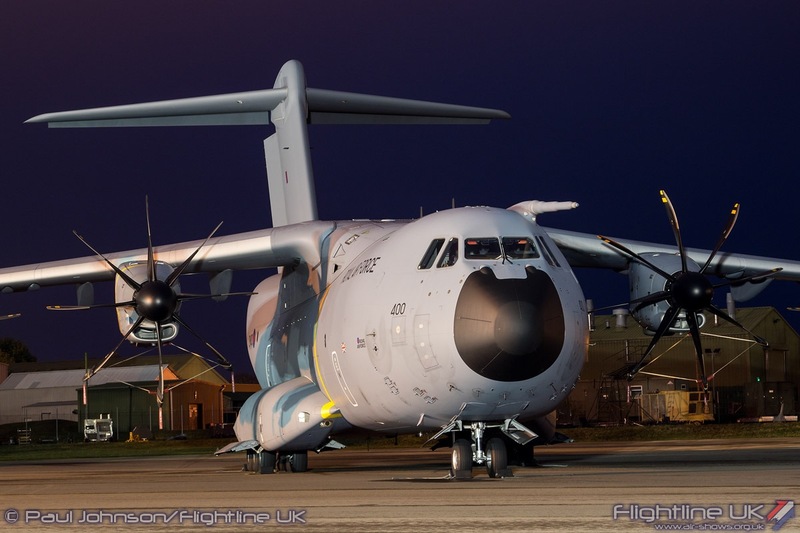 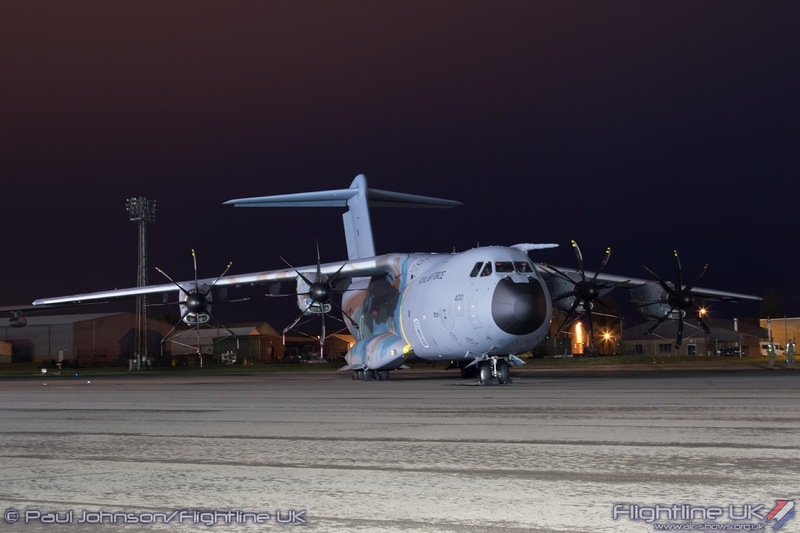 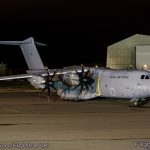 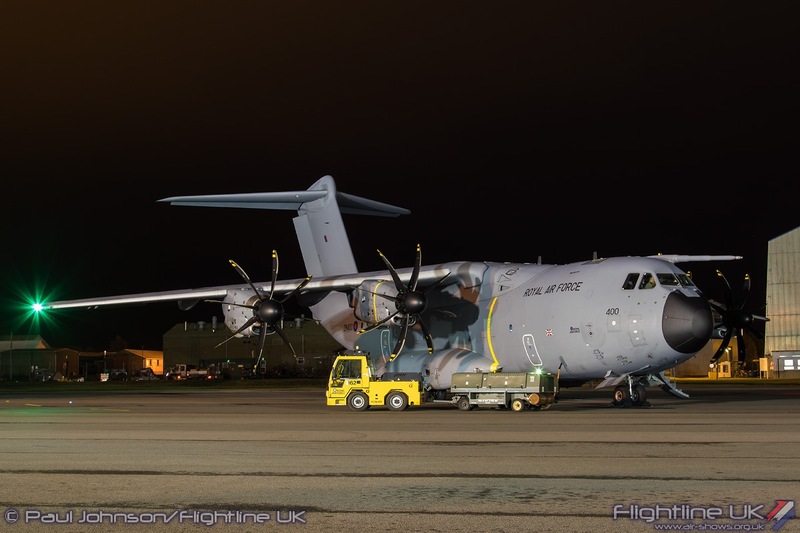 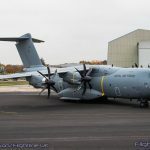 LXX Squadron themselves are the first operational squadron in the RAF to operate the Airbus DS A400M Atlas C1. 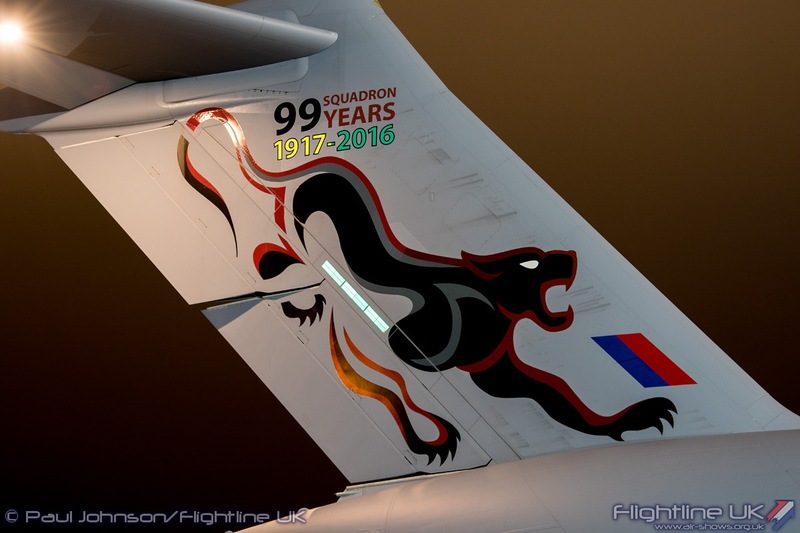 As with many other RAF squadrons, 2016 is the unit’s centenary and they do have an aircraft with special tail markings this year. 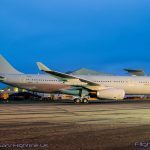 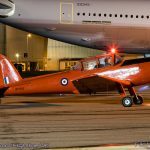 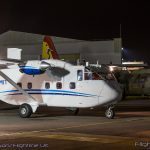 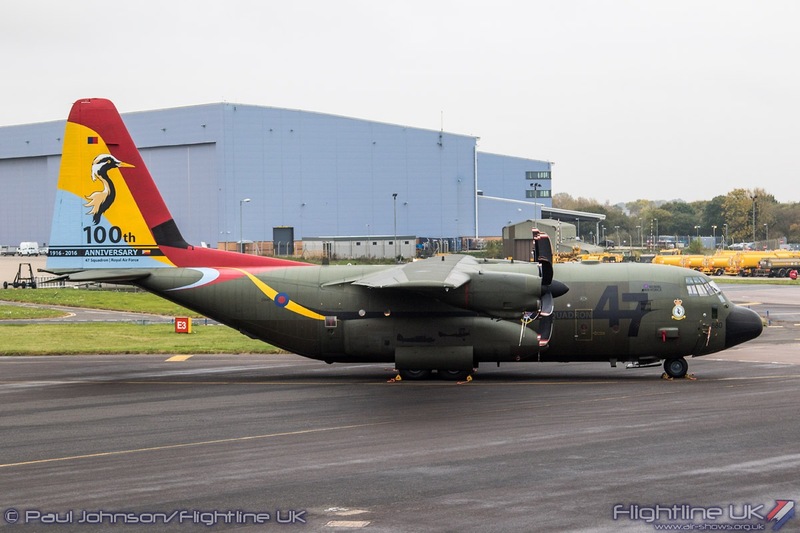 Sadly, for operation reasons this particular aircraft was unavailable due to the busy schedule as the aircraft provide both airlifting operations and work up to full operational capability. 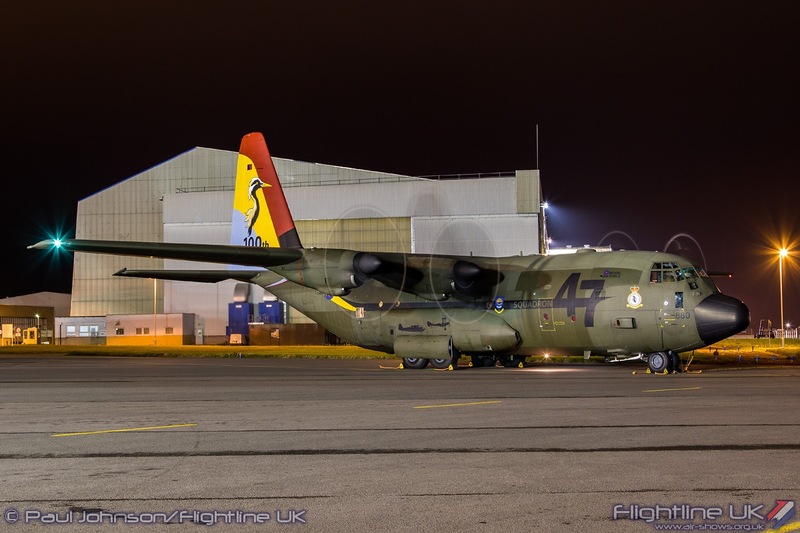 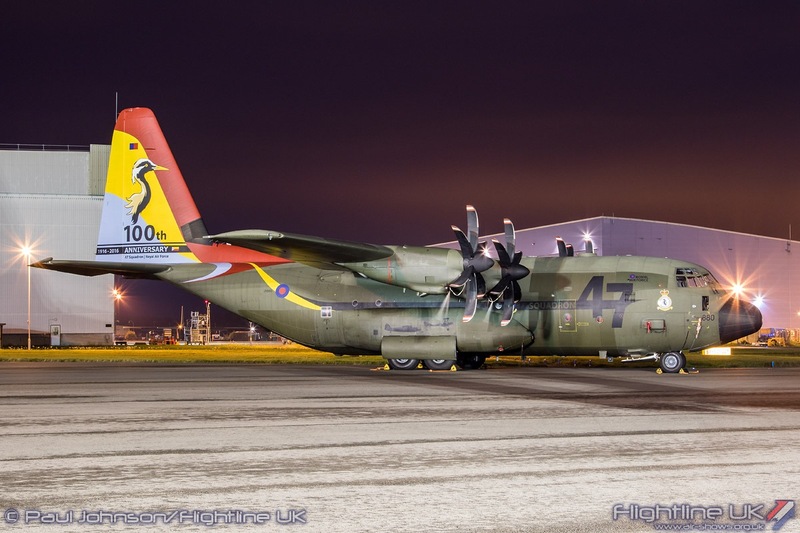 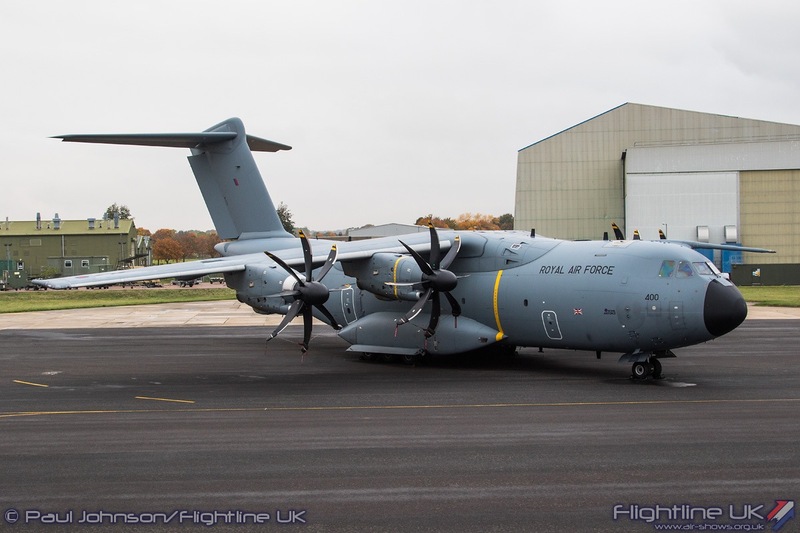 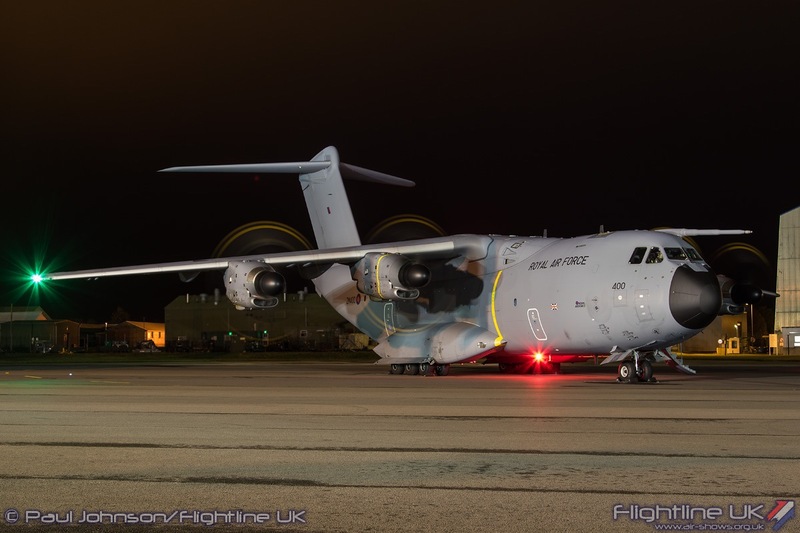 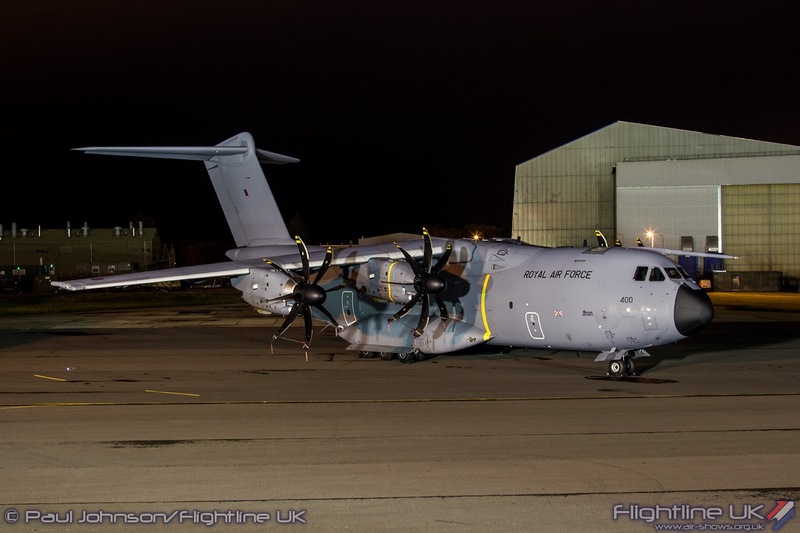 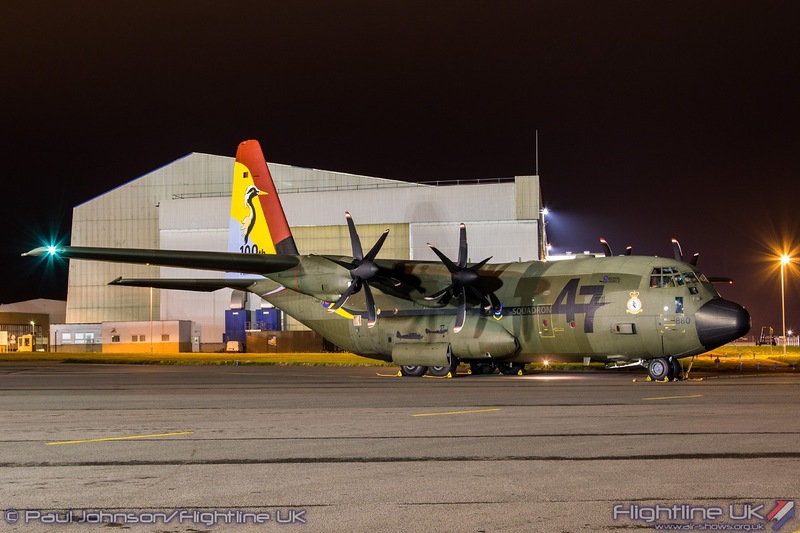 The aircraft that did join the event was ZM400, the first Atlas C1 to enter squadron service on 17th November 2014. 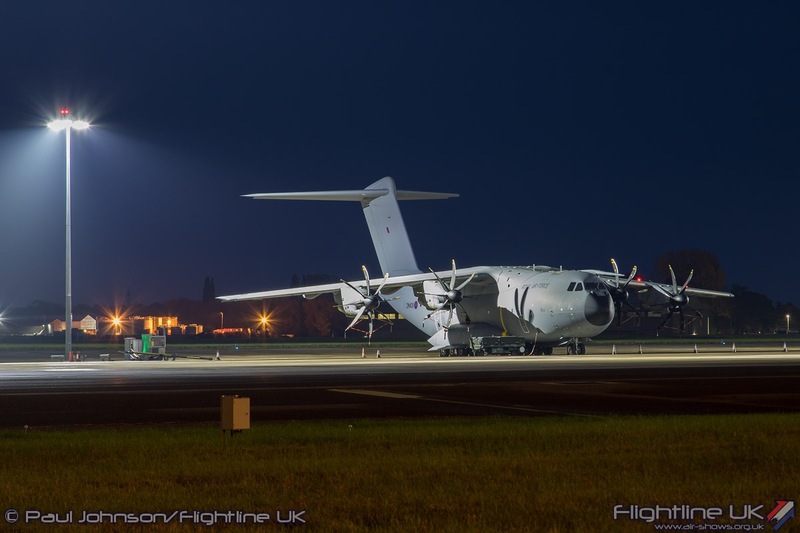 Parachute training at Brize is often supported by civilian contactor aircraft. 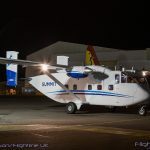 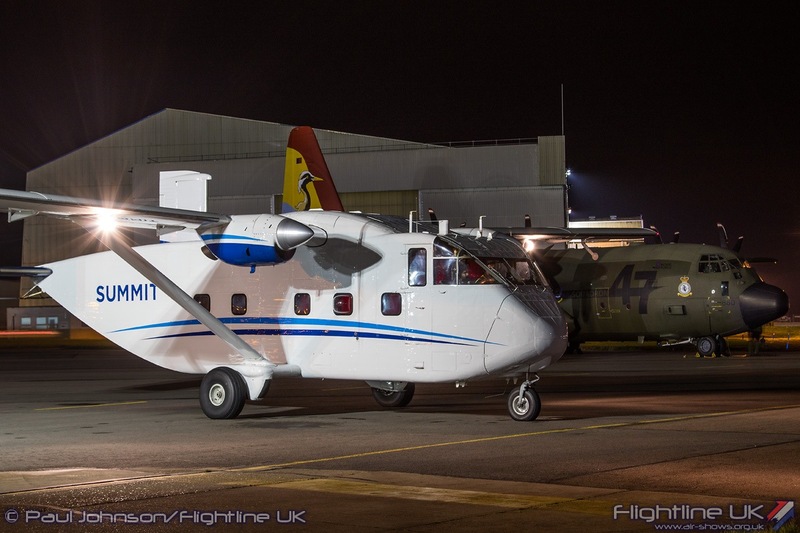 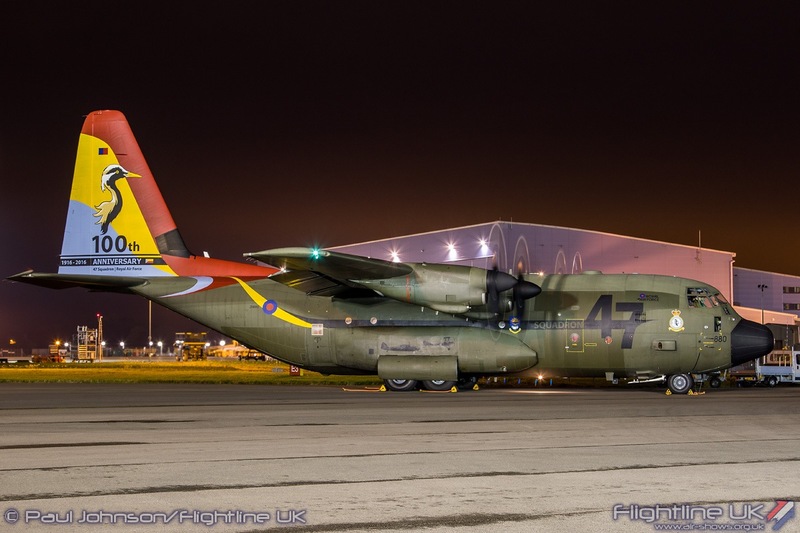 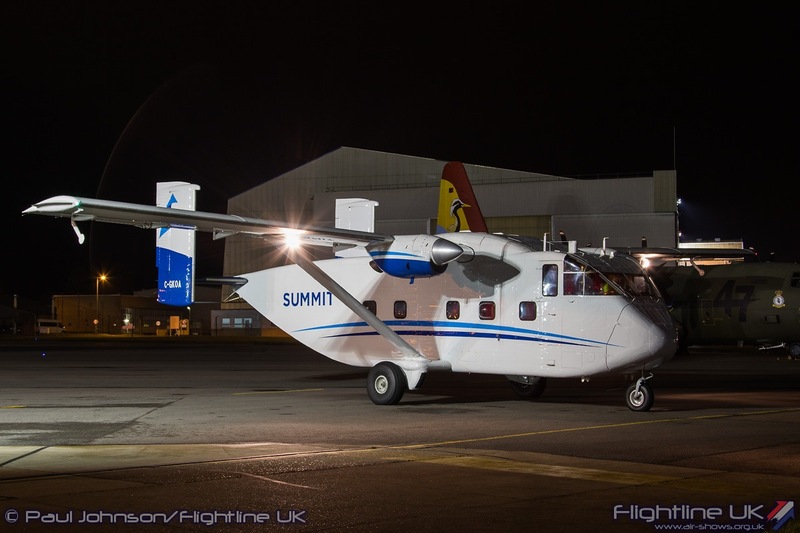 Currently Canadian Company Summit Air is supporting No 1 PTS using the Shorts SC7 Skyvan. 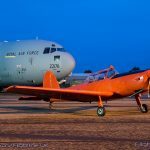 One of their very smart aircraft joined the Photocall performing a brief engine run before taxying back to its roost elsewhere on the airfield. 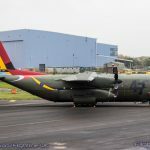 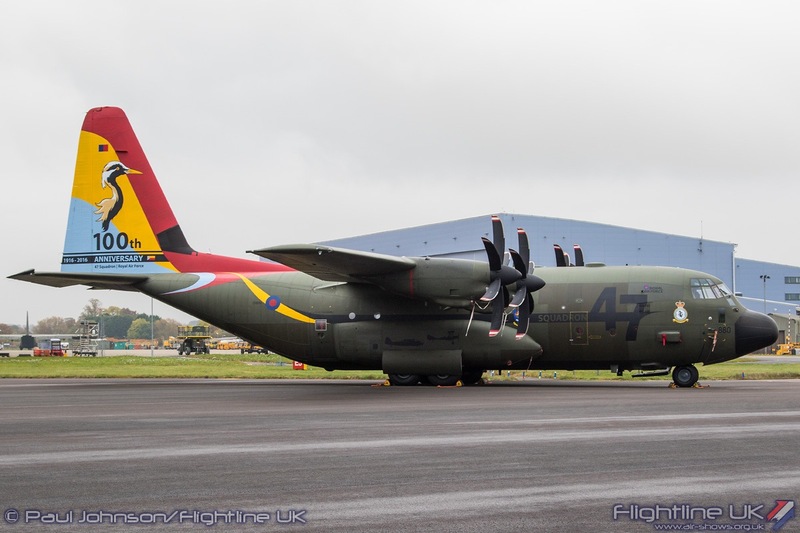 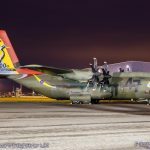 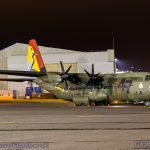 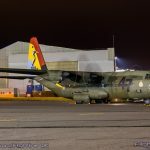 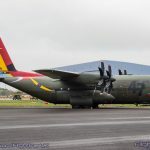 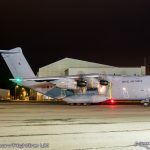 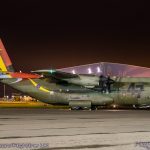 The final aircraft in the line-up and whose engine run provided the finale to the evening was the Lockheed Martin C-130J Hercules C5 from No 47 Squadron wearing special centenary markings. 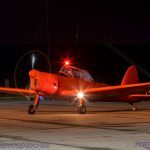 Like the Chipmunk and Atlas before it, it ran its engines for over 10 minutes giving photographers ample opportunity to capture a variety of angles. 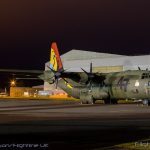 The C-130J engine run brought the curtain down on a very enjoyable evening. 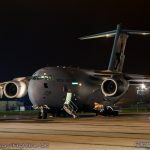 It was a very well organised event, made all the more better by the friendly enthusiastic station personnel who gave up their Saturday evening to support the event. 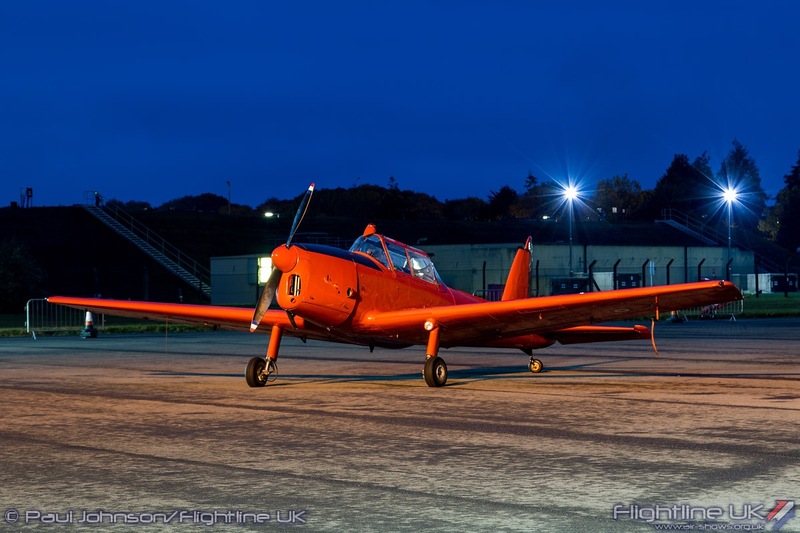 The icing on the cake was that £5000 was raised for the Jon Egging Trust. 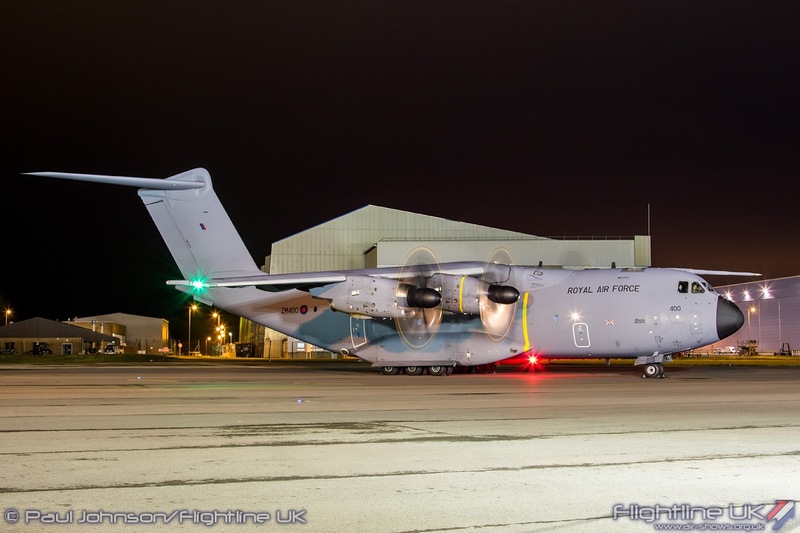 Well done to all involved and I hope it isn’t the last such event at Brize. 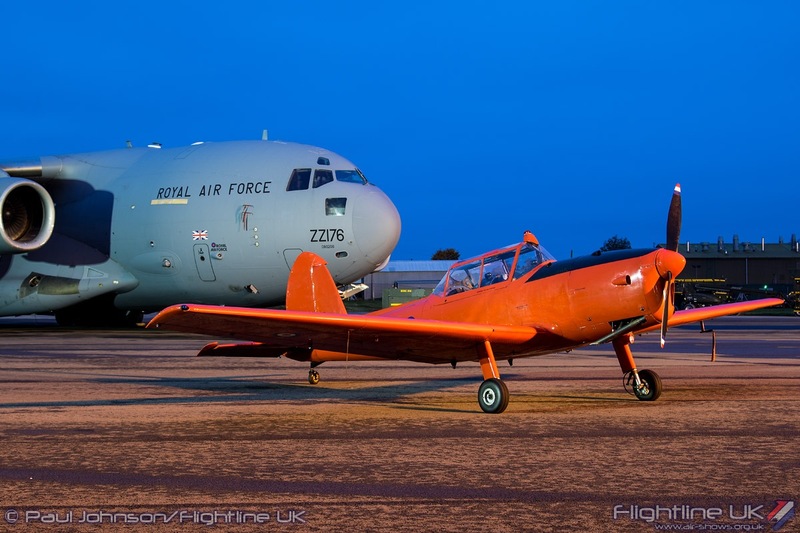 NextAIRSHOW NEWS: Scampton Airshow ticket sales take off!